Fusion Elevator with locations in Moncton, NB and Conception Bay South, NL. We supply, install, service, modernize and maintain passenger elevators, freight elevators and accessibility access lifts. 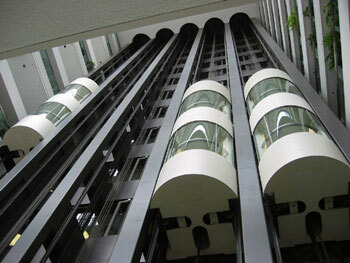 All our work meets or exceeds the CAN/B44 elevator code requirements. We pride ourselves in our ability to offer service tailored to meet individual customers concerns, whether they require a standard solution or something out the ordinary, from customized elevator cabs to specialized maintenance programs. Our well trained staff has many years’ experience in the elevator industry, our technicians are certified class “A” elevator mechanics and we have a licensed electrician on staff. We guarantee our work for one full year (normal use).